The latest connected features in show floor concepts include the ability to command inputs from the steering wheel via the smartphone-ubiquitous touch-sensitive controls. The usual roster includes such new amenities to be introduced first via premium brands but we already know Volkswagen’s namesake brand is working on them. So, it also appears now that Hyundai is taking the same path – at least this is what a recent patent filling suggests. 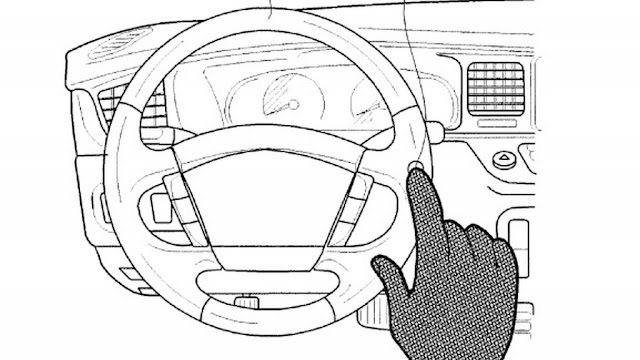 The regulatory filing shows the South Koreans are also working on introducing touch-sensitive controls for the steering wheel. We’re being assaulted with all sorts of new technologies and our new cars look like the belly of a supercomputer – but sometimes these new features are also annoying because they really don’t work as well as advertised. This is the case with the new crop of touch-sensitive buttons which may or may not respond to the inputs – we are used to the responsiveness of our smartphones so we have a high bar already set. Hyundai’s research and development seems to be directed towards enabling the drivers wearing gloves to quickly adjust the car’s functions from the steering wheel – they would have a hard time using the regular buttons. This is not a major novelty anyways, since the Prius already has it and the latest Honda Civic already packs a capacitive-touch volume button on the steering wheel. We also noticed the upcoming Porsche Panamera generation will be filled with those.